As course designers, you know there’s a lot that has to happen to build and implement e-learning courses. Whether you work on a large team or fly solo, you likely have a process for taking projects from initiation to implementation. One of the most common mistakes designers make is assuming their customers are equally familiar with instructional design, technology, and the course development process. If your customers are new to e-learning, it’s worth investing a little time to educate customers before you think about their learners. 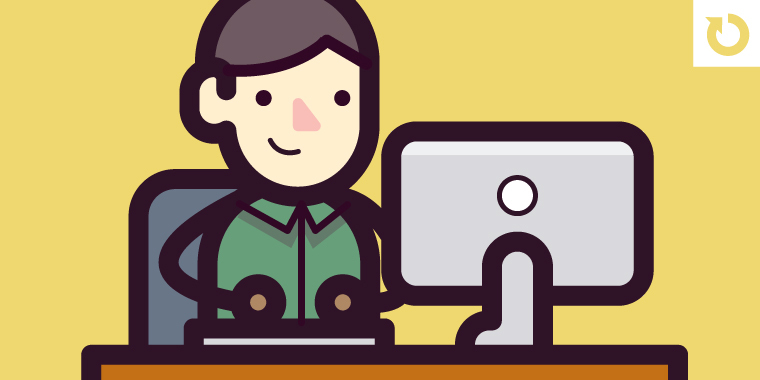 We recently published this really helpful article how to create an online course. It's a basic overview and the steps will be familiar to most of you. But the article does a great job explaining the high-level steps for creating courses. It reminded me of something I used to help educate my customers. When I worked at the bank, I designed a short course that walked our internal clients and stakeholders through the design and development process our team used to build e-learning courses. The course ran about 15 minutes and we shared it during our kickoff meetings. A course about building courses is so meta, right? Anyway, the course really helped clarify a lot of the terms and milestones we used in our project plans. And it’s also a great starting point for this week’s challenge! This week your challenge is to build a short module or interaction to show us how you build online courses. You can use or modify the content in the How to Create an Online Course in 7 Simple Steps article, or you can go with your process and workflow. It’s up to you. This is a bigger challenge than the others but I think the deliverable is worth it. 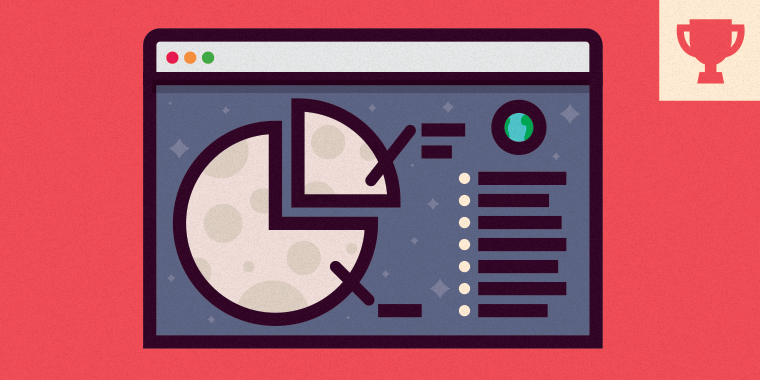 E-Learning Newbies: Here’s your chance to build a course. Use the article as your starting material. Then design practice activities to support each step in the process. E-Learning Freelancers: This could be a great tool to include on your websites to educate clients and help them get to know you. You can even combine some of the objectives from the Webcam Video Challenge into this project to add an even more personal overview. 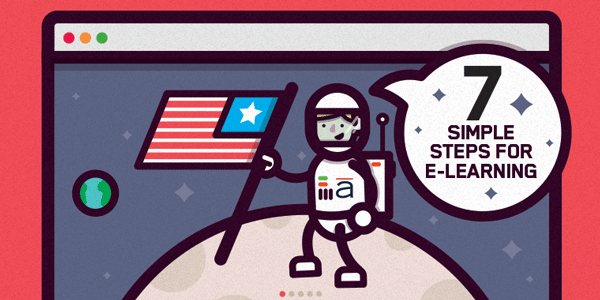 Articulate Guru Contest: We’re announcing the 2015 Articulate Guru contest next week. This week’s challenge is deep enough that it could be fleshed out into a Guru submission. I’m just putting that out there. Yay the Guru's are back! Subtle animations, iconography, and sliders! That turned out really well, Jackson! I really like the smooth transitions between the slides. Love the animations on this, Jackson. Also thought it was a nice touch that the screenshot on the "Development" slide was the actual buildout of the "Development" slide in Articulate. Great work. Great work Jackson. Love the way you play with the animations between the slides. Very on the awesome side of things Jackson! I like your color template and easy-to-follow layout. I liked the smooth transitions, Jackson. That's something I want to improve on. Content was to the point without being too wordy. If it is possible, I would love to see the .story file. Question. For the guru challenge are we allowed to use other tools with Storyline? I'm asking because I want to do something special with this challenge and it utilizes integration of another tool. It's pretty much about showing what can be done with Articulate Software. Which tool were you looking to combine w/ Storyline? Can it be done with Articulate and scripting? I just wanted to see if I could do something very different. I got a guru award for my entry in 2010. I built it in Presenter and integrated some Flash into it. So it seems like you should be able to do this as long as the end result showcases what the Articulate product can do. I'm guessing as long as the other products aren't the main focus of the project. Such as a course built in storyline, but the main thing being a game built totally in flash embedded in the course. But if you show how storyline can integrate with the game by passing variables it might help. I definitely didn't want to create a game and overshadow Storyline. I had an idea about making a course more personalized using a element that I could do through coding or integrating a web object but nothing big. I thought it would be cool and I feel like it could show integration...although I have no idea if I can even do it. Here's mine -- let me know what you think: https://goo.gl/d9Qlr9 This is my first E-learning Challenge, but I've been a Storyline enthusiast for about a year. I know ADDIE has been beaten to death, but I thought I'd share my take on it -- and, as an "Accidental Trainer", submitting this challenge helped me understand my own development process better. Hope you like it! Hey Michael, I really liked your entry. The animations the the look of the course was very good. I also liked the way you show your process. I found the slider portion a little difficult to read. I'm not sure why, but when I moved between two positions on the slider, I could see portions of two different slides coming through together. Overall this was a great first entry and welcome to the eLearning Challenges. Thanks Linda! I "fixed" this - if you have a chance to check out the difference that would be great. The original effect was intended (I wanted the user to "slide" through the stages instead of simply switching), but I see how that was not intuitive. Now there's a little more visual emphasis on the main stages - so, you should see more of each stage individually and less transition. Hope that makes sense. This is amazing. Great work Michael. Thanks for sharing, Michael! I really like the consistency of heading text transitions. I love that you shared your rough sketches too! Looks like your process is similar to mine. This is some cool work, I needed the SWOOOOOSSSH! Nothing but net feeling here! Many thanks for liking it. I was just thinking how the games can help learning more effectively. This is kind of prototype I have designed, but still, I need to think more creatively and bring games and learning together. :) Anyways, thanks a lot for your valuable feedback. Hey weknow, when I click the link it asks me to login into different accounts. Would it be possible for you to create a generic link..so that all can access..just a thought!! I just like the way you have presented content around Newton's life..that requires a different thought process..good job!! Really like the illustration style. Thanks but I think I can do much better. I'm definitely starting over for the guru challenge. My creative juices are just not flowing well this week! Lucky I have my team around me for times like these. Hello All, Here is my take on it: http://googledrive.com/host/0ByL3synSy5H_fkFMM240NkVmZGZoZ0V5X2hxcXA4N1F4SXRDcEl0UW56TWpvVWFseF85ckk Looking forward to reactions/feedback. Hey Jai, I am getting an error!! Hey Jaipreet, don't forget to share this to "anyone with the link" through the advanced settings in Google Drive. Hey Ashi and Alex..thx for letting me know.I have made my folder public. Hope you guys can access it now!! Jaipreet, I so want to work on trying those beautiful transitions. Well done ! Thx Ashi and Daniela for liking it! Nice transitions and progress meter. Really nice Jai, You put a lot of work into this..
Nice clean design and animations, Jayanta. I liked the simple layout. Real easy to follow. Hey Daniela..i was enjoying ur music, which is by the way very sweet and soothing, and the slides...till I reach the Design Process slide.and I cant see any content or navigation icons there..is it WIP version? Regarding transition..storyline itself has lot of transition options under the Transitions tab. Regrading icons, you can check the following site, where icons are free for non-commercial use: http://www.iconarchive.com Hope this helps!! Oh sorry, if you place the mouse over "the design process", it should transition. Pls let me know. And thanks for watching. Thanks also for the icon archive. I believe I have some somewhere. It's all so overwhelming. I need to organize all my tools! I agree it's overwhelming! Once I clicked on the "Design Process" it went well. "Why didn't I learn Storyline sooner?" is a GREAT question! I hope you're having fun! Good question, Jayanta. I don't like them either. I am focussing on SL2 features and I am trying to build a library of images. There is so much to think about when building these challenges or any modules for that matter. Being a recent user of SL2, so much is new to me that sometimes I don't know where to start. I am in the exploring mode right now. Thanks for the feedback. I do have a second one for this challenge and will be posting it. Oh I want to know if there is a way to make the music continuous like in PPT, rather than choppy from slide to slide. Hi Daniela - I just wanted to say well done - there is so much amazing talent in this community that I too find it a bit daunting to post entries to these challenges sometimes, especially when I know I haven't had enough time to perfect my entry. Exploring mode is a great place to be - and by entering these weekly challenges you learn so much, both in the production of your entry and from the feedback members give you. I asked the same question about the continuous music and thanks to Joanna who responded to my query, I found the solution in a thread in this community: https://community.articulate.com/discussions/articulate-storyline/background-music-demo I've yet to try this out - but I also "like to hear music" so I think I'll find this very useful. That's so funny Natasha - you made me laugh out loud!! I spend a fair bit of time 'stalking' in here, so if I come across the meaning of life, I'll let you know! I think there's a strong possibility you're right! Thank you Dianne ! I will try it and let you know how it goes. Thanks for the feedback. Thanks for sharing this Dianne, it's a great find, very useful! I had a go at this one http://www.test.elearninglaboratory.co.uk/OurProcess/story.html More our process of working with clients hope you like. Hey Phil, this is just awesome. Sleek design and very intuitive..can I ask u a question..how u made the setting icons under Organize and Refine tab spin for quite sometime..did u do that in Storyline? Beautiful work Phil. I love the colours you use. One small thing - check the punctuation on the plan and discover slide. Really like it, Phil. I especially liked the smaller version of your menu display which was also animated. I have to figure that out. Genius! Nice soft colours. Easy on the eye. Thanks Daniela, that is a video, I recorded it in Screenflow (you could use Storyline) and then just shrunk it down to fit. I thought you had it up there. That's why I mentioned it. Just beautiful, Phil. Very impressive! Very neat and sleek design. But I think, it will be much better if you add next button so it will reduce number of clicks. Thanks for the feedback, I have rebuilt the graphics on step 2 as I never really liked them and couldn't think of what to put on that step. I considered a next button or changing the back button to be the next step, but think it will create more UI issues, I am happy with 7 click instead of 4. Really loved the animations and design elements used here. Can I ask if the movement from main menu to the detail page was done using slide transitions or just moving elements on and off screen in one slide? I am trying to create more sophisticated animations and transitions in my own work and am curious as to how you achieved this effect, thanks! Thanks Ellen the movement from the main menu is a slide transition here is the file https://www.dropbox.com/s/iby7mliyasct6su/Our%20Process.story?dl=0 probably easier to direct it that way. Looks really tight! Question: how did you get the music to not break between slides, or this just one very loaded slide? Here's my contribution for this week's challenge http://e-adventurer.com/a-checklist-for-industrial-designers/ I made a short, but sweet checklist for instructional designers. This is lovely, Linda! I don't think it needs to be more complex at all - the colors, animation, and simplicity of it all work together beautifully. I only wondered if you maybe meant instructional rather than industrial? OMG, ha, ha, ha Jackie! That's what happens when I try to finish something late at night! Thanks for catching that - I'll fix it tonight! Linda, I loved the topic you picked and shadow effect was very cool :D Every designer must keep a copy of this checklist!! Very helpful steps, Linda ! Really enjoyed the color palate used here, great design! Thanks for your kind comment Ellen. Thanks for the feedback Jayant.. I agree on the same :) Could have used a better one. Hey Ashi..just loved the use of big images, as I am a huge fan of them:) Liked the font that you have used for UI text!! Very nice Ashi. This is the first time I've seen someone change the font on the NEXT & PREV buttons. Beautiful look and feel Ashi! Hey Joanna, great project. A great example of instructionally and visually sound course! thx for sharing. Really nice animations on this one Joanna! Nice transitions and timing between each animation. Nice Christine, the only suggestion I would make is to have a white fill on the captions/callouts so that they stand out a little better. Thank you Linda... I agree completely! Wow! What a great entries this week. I didn't had the time yet to see them all, but the ones that I saw were amazing. Here is mine; On my homepage http://www.eyespirations.com or directly http://www.eyespirations.com/wp-content/uploads/articulate/Demo/challenge_82/story.html Enjoy! Very nice, clean animations on this one Paul. Very cool, I love the way you have the click interaction set up! Nicely done, Paul. I like that there were no borders and how you used the white space. I like white space but sometimes I feel others like borders and shading and perhaps warranted. I also really like the smooth transitions. I so want to be there with that soon (love my grammar?) ! You get the message. Love the animations on this one Paul. I also really like how you set the colours in Storyline so there appears to be no surrounding frame - very effective. I think I'll have to have a go at doing something like this! Looks great Dianne, I love the graphics. Thanks for taking the time to view and comment Linda. I love your design too - the colours are fantastic, and yes, it's simple - but very effective. Ahhh - so my attempt at marketing paid off Natasha! This is not my best work by a long shot - but if it sends people to my blog and website, then it's done its job. Don't worry - you're not the only one who has 'lost' an hour, or two, or even three when I follow through some of these entries to websites and blogs. That's one of the best parts of belonging to this community - getting to see what everyone else is doing - and because everyone is so willing to share, it's not like we're 'stalking' them! My website design was a combination of elements from lots of website I came across and liked, and my favourite thing to do ever (apart from sourcing amazing images for my work) is spend time looking at the work of other designers. It's interesting how much of what comes out in my designs is something I've seen and not necessarily 'copied' straight away, but stored away in my memory waiting for the right time to use the idea in one of my designs. Anyway, thanks for the hour of your time! I've been doing a bit of work on my e-Portfolio and have changed the link above, but now the Recap link is out of date - David? Are you there to fix this?! Wow! I am loving looking through all the entries this week! Here is my entry for this weeks challenge: http://www.taniavercoelen.com/elearningprocess/story.html Any feedback would be greatly appreciated! Tania, I thought your entry was fantastic and "amazing". Great "wow" factor.I am struggling to learn how to make those smooth transitions and keep my projects simple. I am diligently working on it. I would really like to know how you did the "loading" part. Hi Daniela it's easier than you think. I created a rectangle shape with the animation wipe (from left) and made the time of animation about 5 seconds. The loading dots are just circle shapes on and off the timeline :) Hope that helps! Let me know if you have anymore questions. Beautiful Tania! I love the icons and the animations, especially the loading indicator; very clever. Tania, This was pure awesomeness...I loved the coffee humor and I had a smile on my face throughout the entire demo...PERFECT!!! Loved this one Tania - I really liked the coffee stain on the paper and then how you continued the coffee theme throughout. Very nice. Great content, Andrew. Smooth transitions too! Here is my entry for this weeks challenge. http://bit.ly/1A1GeK1 Now I'm off to bed. I can't believe it only Wednesday. Some great elements in there Cary. My favourite would be the bridge gap effects. Awesomeness !